From my acrylic painting, prints are available in various sizes, printed on metallic Fuji paper. 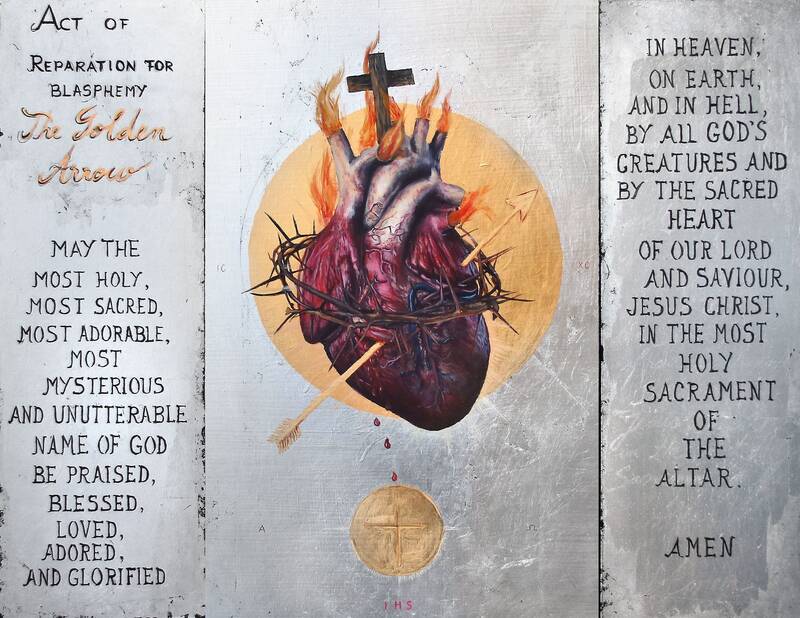 This version of the print features the Sacred Heart of Jesus without the side panels containing the prayer. 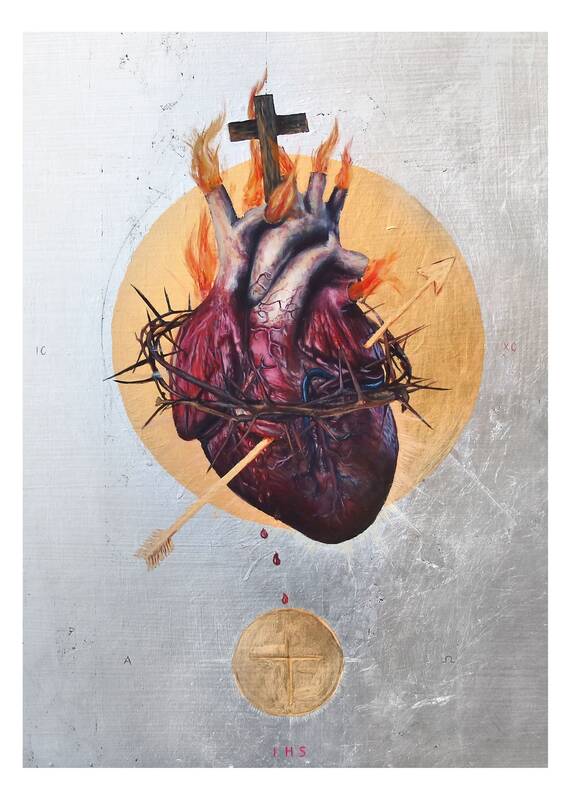 It depicts the Sacred Heart of Jesus along with the traditional symbolic elements: aflame with the fire of eternal love and surrounded by the crown of thorns. 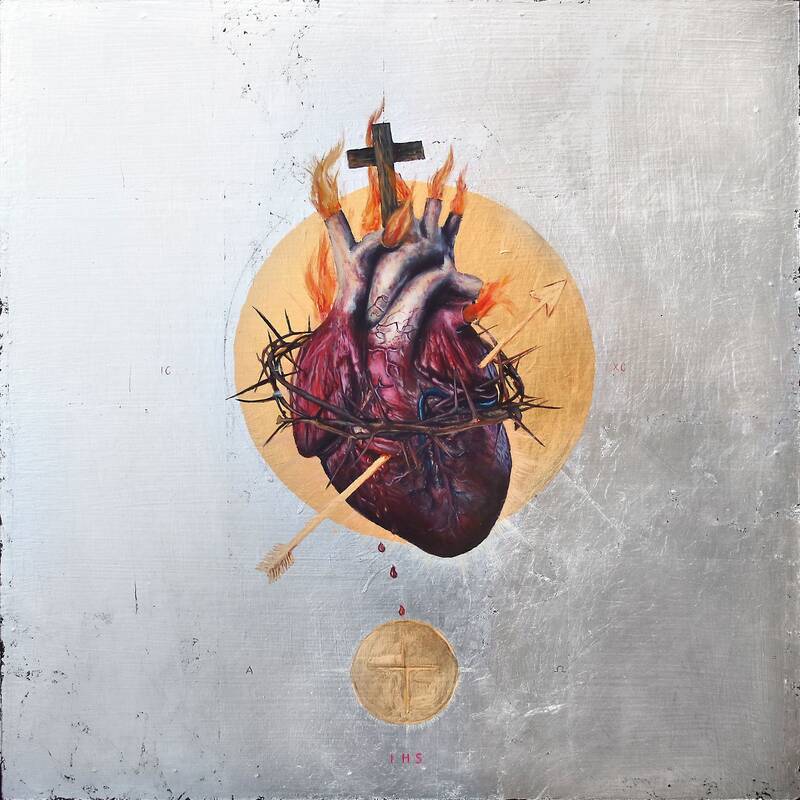 The bleeding wound continues below the heart transitioned through blood drops into the Holy Eucharist, embodying this way the act of Transubstantiation. The Golden Arrow piercing the Holy Heart has a beautiful significance - it represents the Act of Reparation against Blasphemy.